My mom was never particularly impressed by the book subscription boxes that I had received so I challenged her for my birthday to make a fake book subscription box. 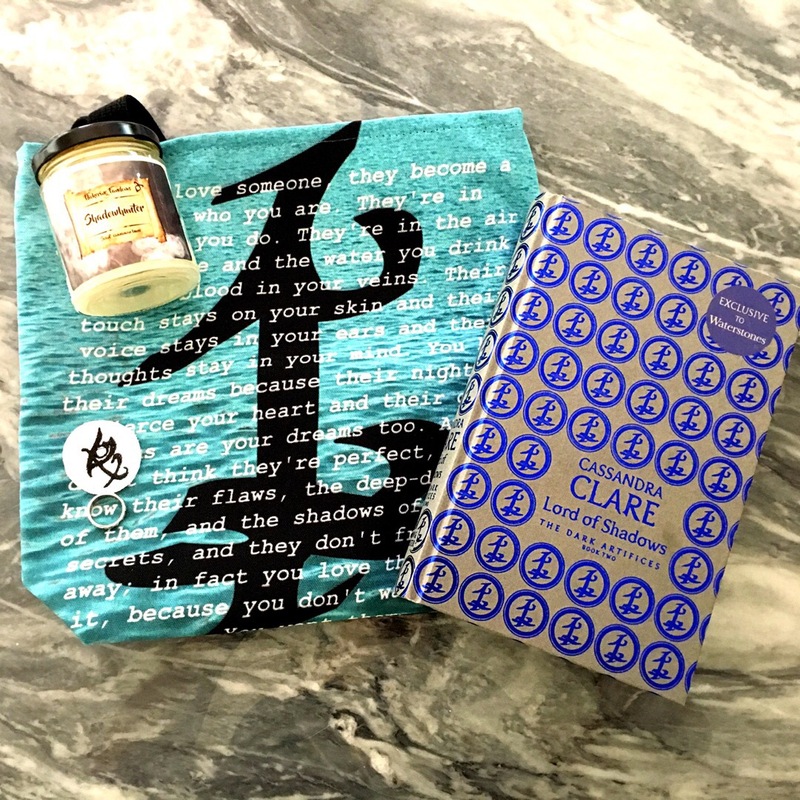 So without further ado, here are my ACOTAR and Shadowhunter (fake) book subscription boxes! Or as my mom would say, get ready for an uncrating. I am obsessed with her designs (and my mom knows it). I have a pillow case from her that says Rattle the Stars, and two smaller zipper pouches that are both ACOTAR related. I just realized that I look really SJM-obsessed and I’m not really sorry about it. How gorgeous are these labels though? I’m tempted to go on and buy myself a few more candles.. but that would be crazy, right? 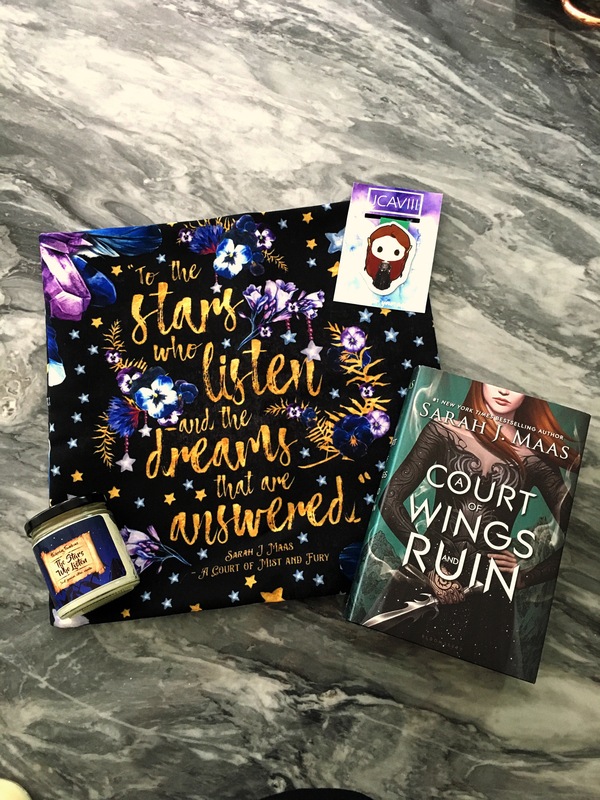 Oh my gosh, look how precious Feyre is! I do wish there was a Rhysand, but since I’m making myself custom Pops of Feyre and Rhys I’ll let it slide. It’s a little tough to see in the photo (much easier in the link) but the bodysuit has a sweetheart shape underneath and my mom said it reminded her of the dress on the cover of the book. Since I would 100% be into cosplaying as Feyre, even low-key, I am quite excited by this.. now where can I get pretty elf ears or metal jewelry to make my ears look like elf ears? Actually, where can I find someone I can hire to make me a replica of Feyre’s dress? This bag is such a gorgeous colour and I’m in love. I can’t wait to take it to the library with me or a book signing. I love things that smell like baked good, cinnamon or fruit, so pumpkin pie, apple pie, sugar cookies, cinnamon rolls, etc are perfect – so my mom knows me. 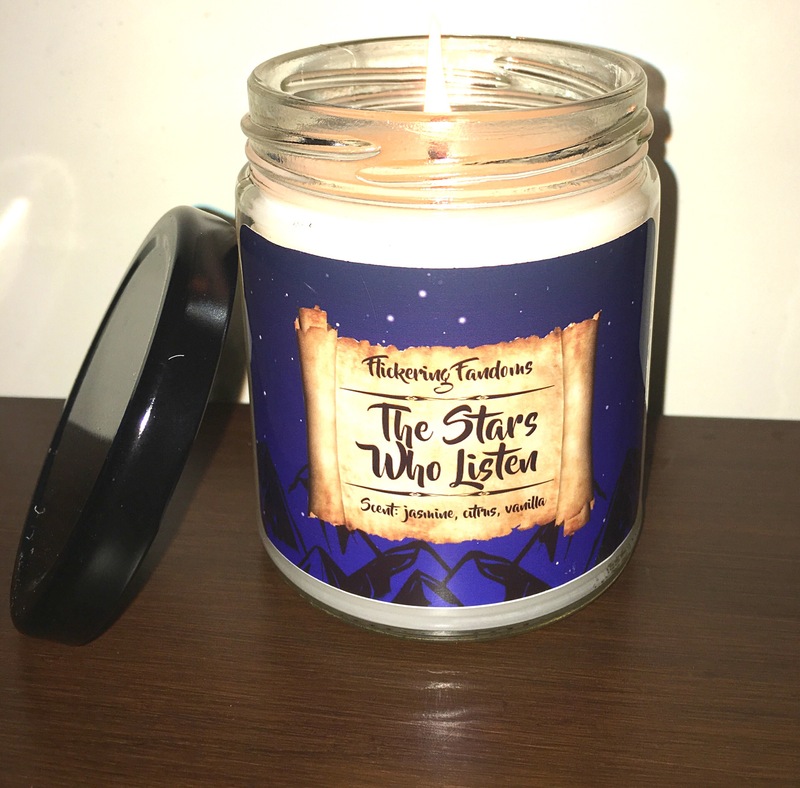 Now I can sniff the candle and pretend Jace smells like a delicious cinnamon bun. I looked at this and immediately starting dreaming up possibilities, because it is so basic I kind of want to make it a little snazzier. I really don’t know what I want to do, or even if I want to do anything, but I think adding colour or more runes would be really cool. My mom is also game to help me. I told her and she was smiling to much, thank you! I let her know and she smiled so much! Happy belated birthday!! And you totally have the most amazing mom in the whole world!! The “subscription boxes” she put together are literally the best thing I’ve ever seen!! Oh thank you!! Yeah, they’re awesome! Your mom seems so cool! A lot of creativity went into these for sure, and looks like she did an awesome job! Oh I agree, she was definitely searching everywhere for things! I loved everything! Happy belated birthday! Your Mum seems amazing! Your mom did you well!! Happy belated birthday! Thanks! Oh definitely do, I’m obsessed! I’d probably own at least 10 of her designs on pillow cases if I had enough pillows.